Cleveland, OH - His Grace Bishop Dr. MITROPHAN demonstrates the importance of Christian Education in the Eastern American Diocese by consistently having annual Deanery meetings focused on Christian Education. Each Deanery meeting begins with a designated priest giving a well- developed talk focusing on Christian Education. Following discussion of the topic, parishes give oral and written reports of their parish educational programs. 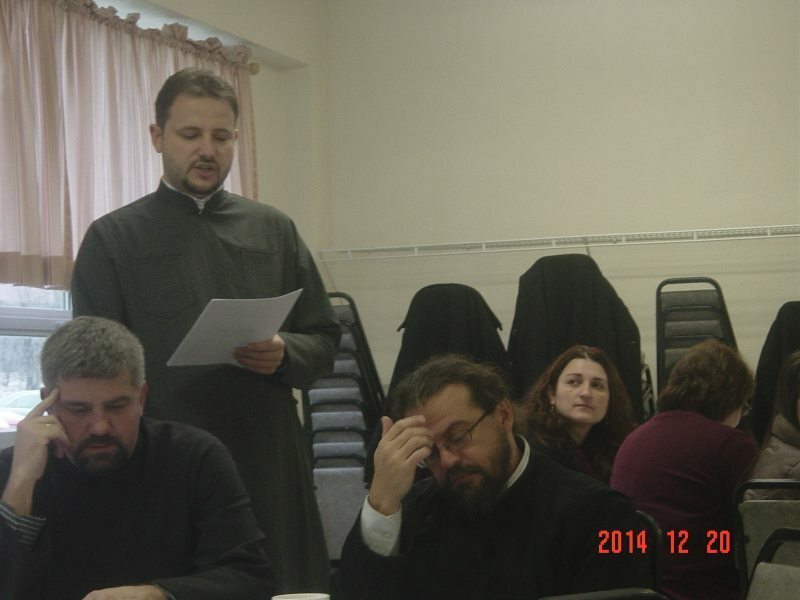 The Twenty Sixth Annual Cleveland Deanery meeting on Christian Education was held at St. Sava Cathedral in Parma, Ohio on Saturday, December 20, 2014. His Grace Bishop Dr. MITROPHAN opened the meeting with prayer. Clergy and church school educators representing parishes from the Deanery were present to participate. Host priest and Dean of the Cleveland Deanery, Very Rev. Dr. Zivojin Jakovljevic welcomed the attendees. He said the Deanery meetings were wonderful opportunities to exchange ideas, goals and successes. Father Goronjic emphasized the importance of good communication with everyone including children. The Gospel is to be the content of conversations of priests and every Christian. Christ’s message to His disciples to baptize and to teach served as a primary point of reference in Father Goronjic’s presentation. (Mt.28:19-20) Father Goronjic spoke of trusting in the Lord, being gentle and persevering in teaching. Father Dragan Goronjic recognized the freedom involved in learning and the different capabilities of each student to learn. Church school classes and conversations are to be a witness of our faith. 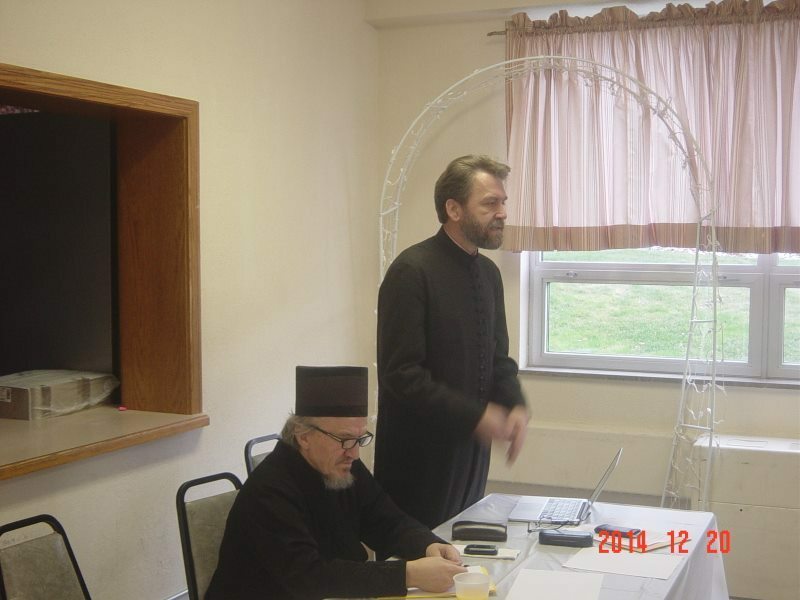 Father Goronijic speaking about priests said specifically: “Our mission is to witness the word of God to everyone and at every moment.” He said if the priest is interested in everyone individually, the priest’s teachings will find listeners. Highlights from following Ohio parish education programs were reviewed during the meeting: St. Archangel Michael-Akron; St. George-Canton; St. George-Lorain; St. Sava-Parma; St. Sava-Broadview Heights; Holy Trinity-Raccoon Road-Youngstown; and St. Mark’s Monastery-Sheffield Village. 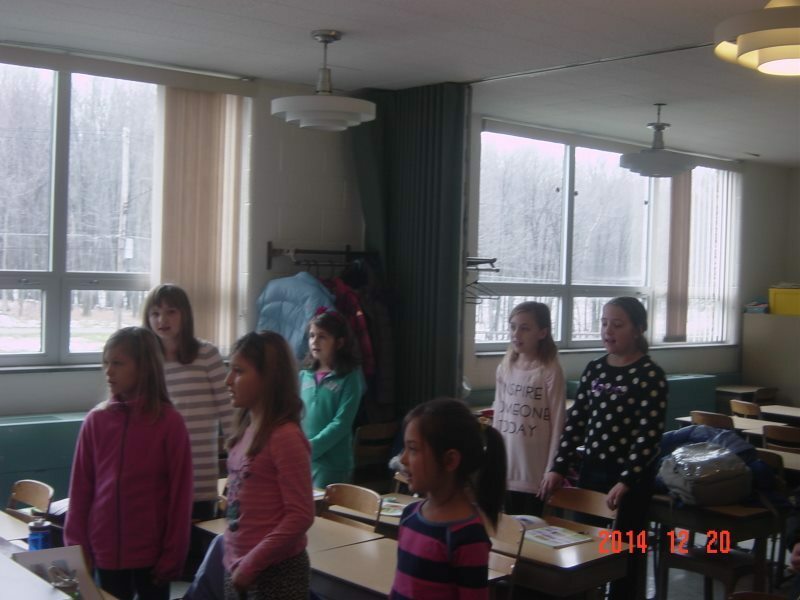 Educational highlights also were also presented for St. George Church in Hermitage, Pennsylvania, St. Stephen’s Church in Lackawanna, New York and St. George Church in Niagara Falls, Ontario, Canada. His Grace said the clergy and educators need to take care of their own families. He said to conduct adult classes to reach the parents of kids in the parishes. Adults in parishes need to learn as well as the children and youths. His Grace said people are available capable of teaching in the Serbian and English languages. His Grace Bishop Dr. MITROPHAN cited the importance of involving the children and youth in the Divine services of the Church. He spoke of involving the youths in folklore in the church school classes. Reaching out to college students also was part of the discussion. The possibilities of the Diocese holding a family camp at Shadeland and a retreat during Great Lent were mentioned. At the conclusion of the meeting, His Grace visited the classrooms at St. Sava Cathedral where children were receiving instruction. 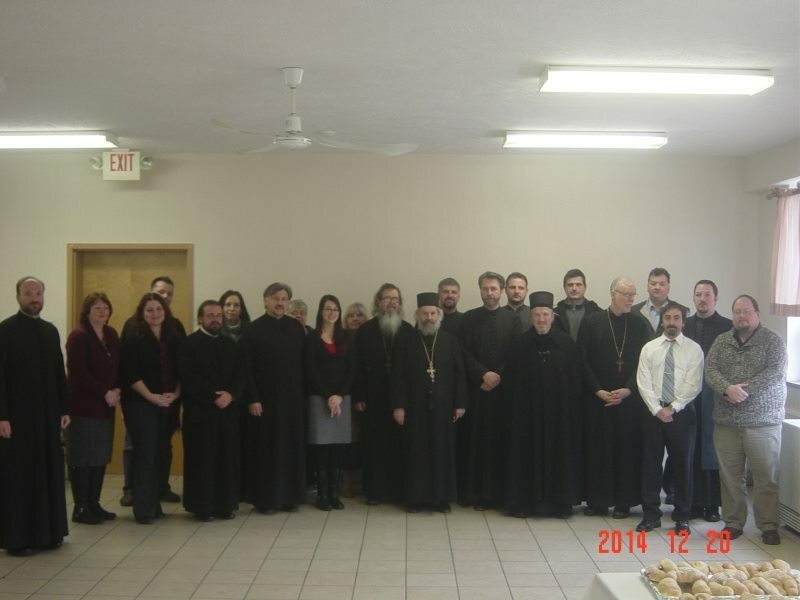 The hospitality of the St. Sava parish was greatly appreciated.